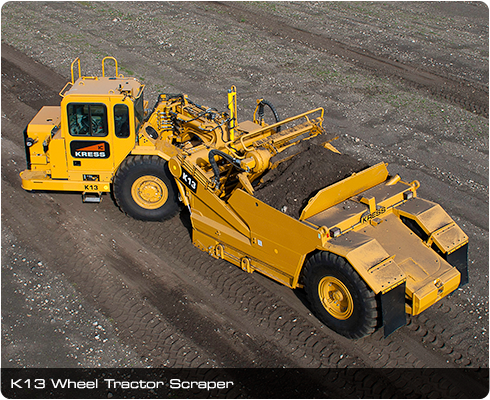 Optimized performance, high productivity, low fuel consumption and superior reliability. 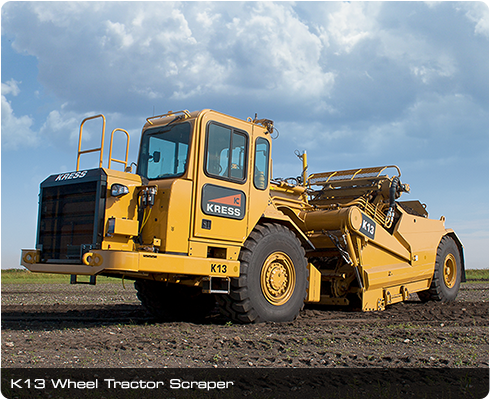 The Kress K13 11yd3 (8.4 m3) Wheel Tractor Scraper is the newest addition to the Kress line up of heavy duty industrial machines. 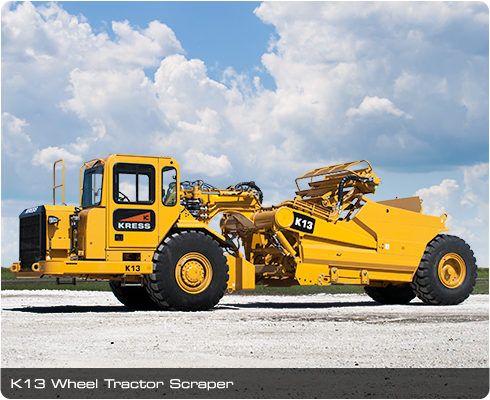 Designed with durability, efficiency, and high productivity in mind, the K13 has a lot to offer. 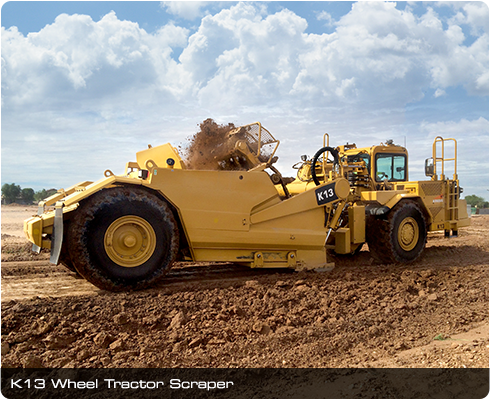 Featuring an integrated Cat powertrain powered by a C7.1 engine which meets U.S. Environmental Protection Agency (EPA) Tier 4 Final and EU Stage IV engine emissions standards. The K13 features a simple elevator design that is easy to service. It is also equipped with a heavy duty elevator pump designed to run at high speeds which equal fast cycle times to help get the job done quickly and reliably. 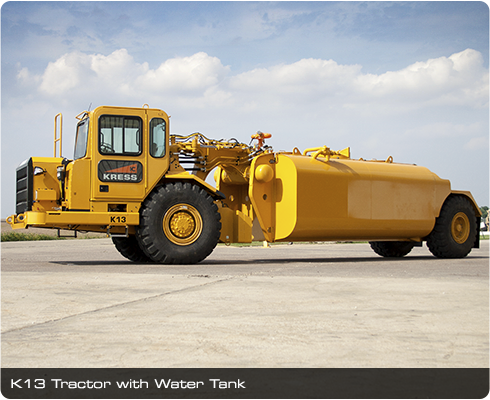 A large capacity fuel tank allows machine operation for up to 10-12 hours. The comfortable, spacious cab allows the operator plenty of room to work as well as providing excellent visibility to ensure safety. Heat, A/C, AM/FM radio and comfortable rotating seat are all standard. A large 7”IQAN touchscreen display is easy to read and keeps the operator informed about machine operation and any machine messages or alerts. Other optional features available include fully automated grade control, WAVS camera system, Product Link, LED headlights and work lights, active seat, upgraded radio with Bluetooth, USB, and CD, Fenders, ground engaging teeth, and more. 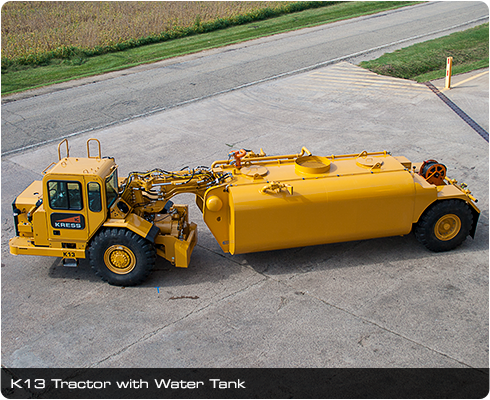 Additional configuration options designed to increase utilization of the K13 tractor.